Mining at The Canyon was fruitful. I loved it, even though it’s fake. Except for the hunk of chert, which has a thin vein of sparkly crystals in it (not pictured, I forgot to get it out of the bag). One of the best parts of the tour was our guide Selena, who was into many of the same things I am! She’s a soul-sister. 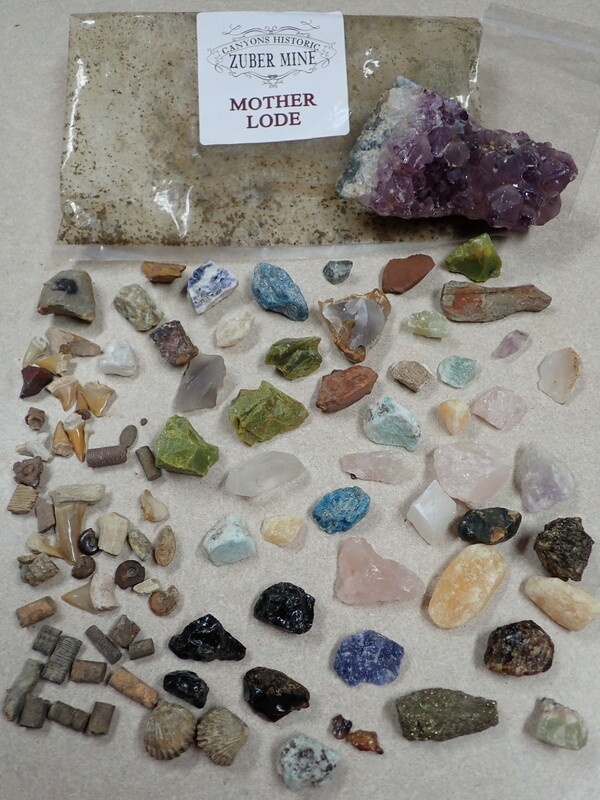 Treasures from the “mine” at The Canyons – The Mother Lode! !